My kids hate writing. I hear this over and over and over. My kids hate writing. Typically people mean the act of writing, not the process. And this post handles the act. My kids will dictate to me all day long but ask them to hold a pencil and you’re asking for trouble. Writing Practice with Pokemon to the rescue. 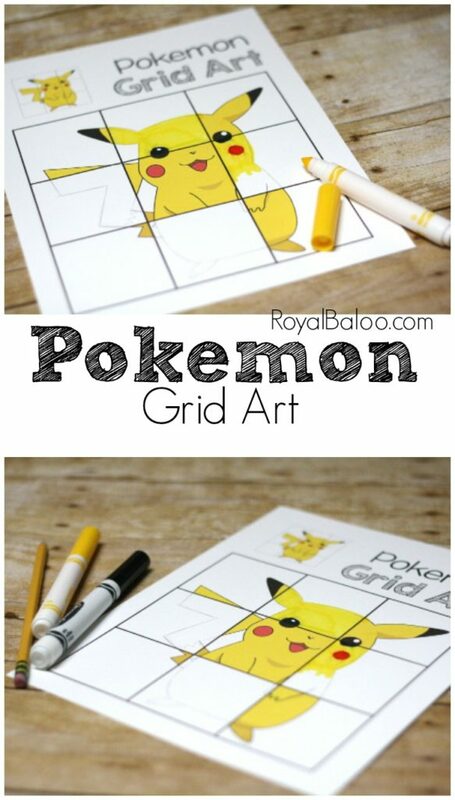 As a kid I used to do these grid art things. You take a picture, draw a grid over it and then draw another grid, but bigger. 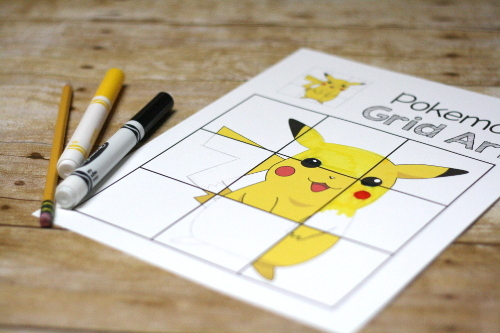 Then you use the smaller grid to guide your drawing. It makes more sense visually! Now these pages do not practice writing in the traditional sense. No letters will be formed, nor words or sentences. However, a big part of the problem with writing is building up those fine motor muscles. Without strength in those muscles, writing will become tiring quite quickly. Further reinforcing the hatred for writing. But with drawing and color building those muscles, writing will come easier. The muscles will be built up in a fun and engaging manner. I’ve made two kinds of grid art pages. The first set includes a portion of the original picture in the big grid. 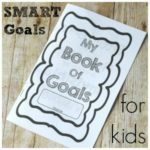 I did this mainly to help kids grasp the concept (and because I knew my kids would balk at having to do the entire grid at first. And they did). These only have 3-4 squares to be filled in. The other ones have an entire grid blank, just waiting for the art to start! I drew this one in and my kids were amazed that it was Pikachu! Oh my gosh, Pikachu!! Oooh you mean writing practice with pokemon might actually be fun…who knew? 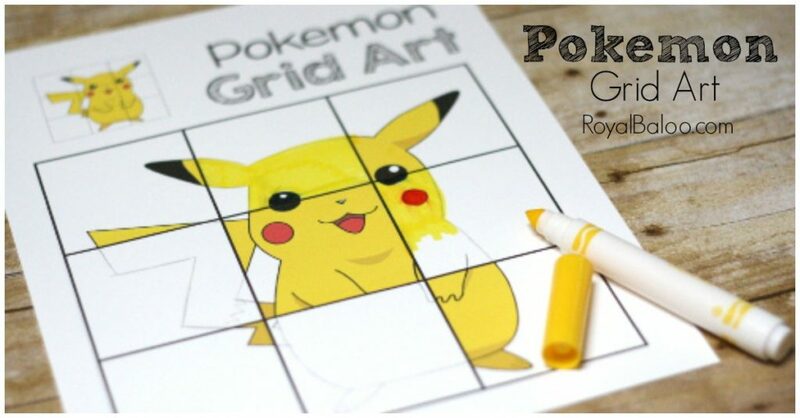 I’ve created an entire set of these Pokemon grid art for writing practice with Pokemon. I hope some kids out there enjoy them! 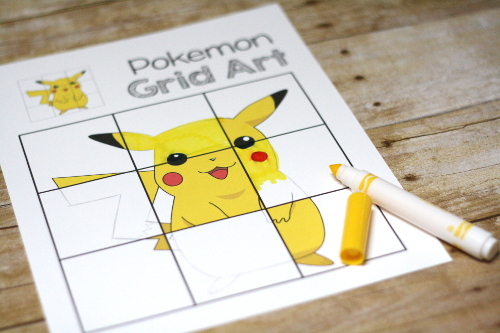 Get the Pokemon Grid Art Set Here!